﻿ Book Sun Breeze Hotel (El Remate) - 2019 PRICES FROM $34! Located in El Remate, in a building dating from 1999, Sun Breeze Hotel provides a garden and guestrooms with free WiFi. The property features a terrace, as well as a shared lounge. Each room is equipped with a balcony. At the hotel, the rooms have a patio. Rooms are equipped with a private bathroom with a shower, while selected rooms also offer a kitchenette with a microwave. At Sun Breeze Hotel, every room comes with air conditioning and a flat-screen TV. Staff are always available to help at the reception. 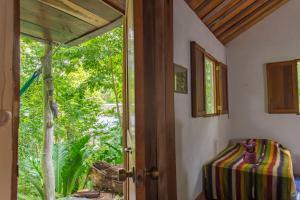 Flores is 19 miles from the accommodation, while Tikal is 21 miles from the property. 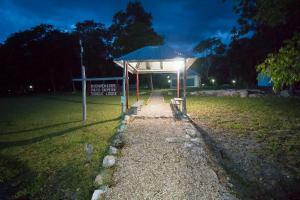 The nearest airport is Mundo Maya International Airport, 17 miles from the property.